One parent from the home team will be asked to be the official score keeper. After the referee has checked the teams the score keeper will get the game card (see below). 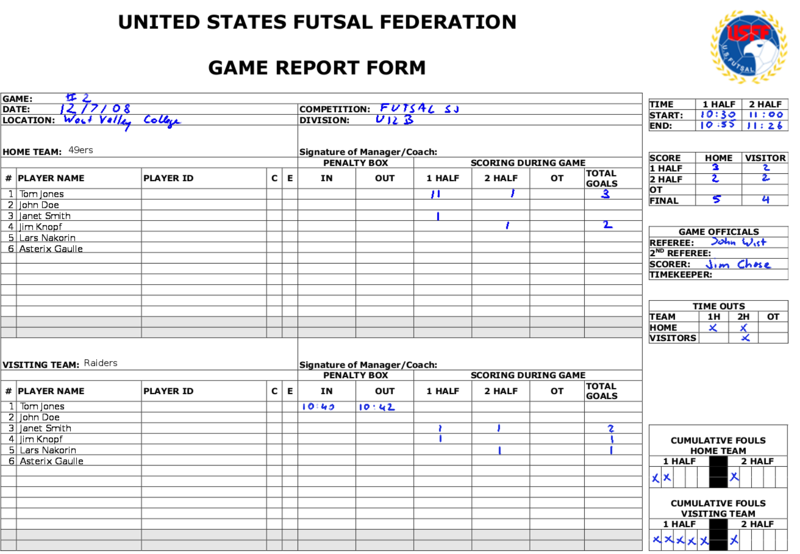 Before the game make sure the game location, time, referee name and score keeper are filled out. Number of free kick fouls (the referee should signal the score keeper for every foul. This is done in the right column under 'cumulative fouls'. 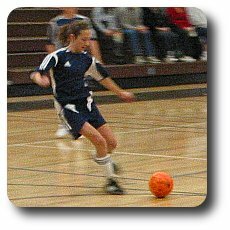 If a team has 5 fouls in one half inform the referee (subsequent fouls are taken as PK). Mark the team that requests a timeout and make sure a team only requests one timeout per half. If a player gets a red card he has to leave the gym. After two minutes or after a goal has been scored a substitute may enter the field. Use the 'Penalty Box' field for this. After the game return the game card to the referee. Thanks a lot for helping!